1909 E92 Dockman & Sons Gum Honus Wagner "Throwing" SGC 2.5. 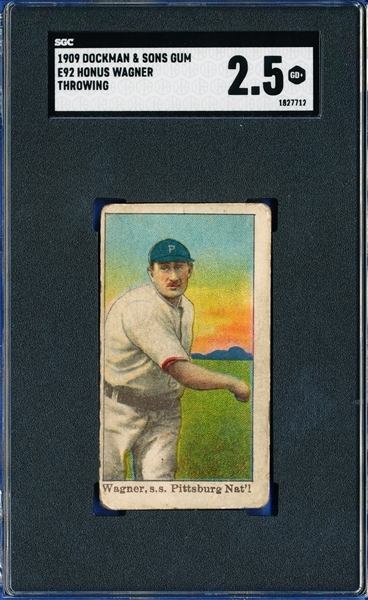 One of the most sought after players in the collectors industry it is becoming increasingly difficult to obtain an authentic Wagner card from the early 1900's. This card has been authenticated and graded a 2.5 from SGC!